As if January and February weren’t bad enough, March came roaring in like a lion for Greater Moncton and Southeast New Brunswick. Overnight temperatures continued to be frigid with 12 lows during the month falling to -15 C or colder. Two major snow events left more than 140 cm on the ground just prior to the start of spring. Forecasters are suggesting colder than normal conditions will persist into April. This was a beautiful March day to go for a walk in the warm spring sunshine. The daytime high in Greater Moncton may have been a cool 2.7 C today but it was still enough to melt some snow with about 80 cm still lying on the ground. A storm system passed just south of New Brunswick yesterday and barely delivered a snowflake to the province. It was a different story in Nova Scotia where Halifax received 20 cm of snow which may have played a role in the “hard landing” of an Air Canada plane at Stanfield Airport early this morning. Spring is officially here but anyone living in New Brunswick knows that now is often when the battle lines are drawn. Cold Arctic air can linger and along with an almost ice-covered Gulf of St. Lawrence creates a cooling affect which repeatedly fights it out with warm, moist air from the Gulf of Mexico. Environment Canada has issued a snowfall warning for Greater Moncton as a low pressure system intensifies tonight over the Maritimes with as much as 15 cm expected by late Sunday. 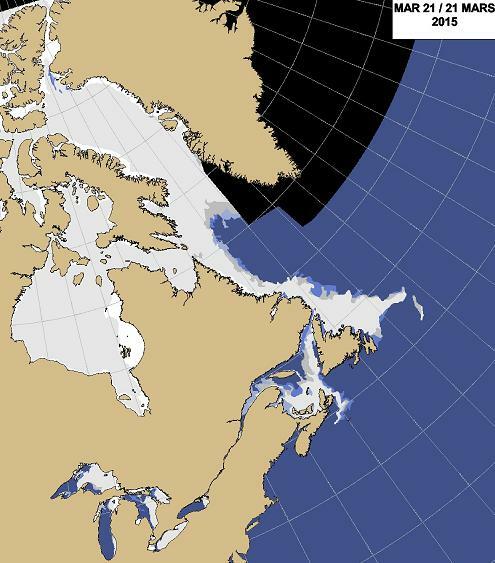 The Canadian Ice Service map shows ice is breaking up in the Gulf of St. Lawrence around Anticosti Island, Lakes Ontario and Michigan are nearly ice-free but the Labrador coast and Hudson Bay are still solidly frozen. It’s been a long haul over the past three months in New Brunswick. 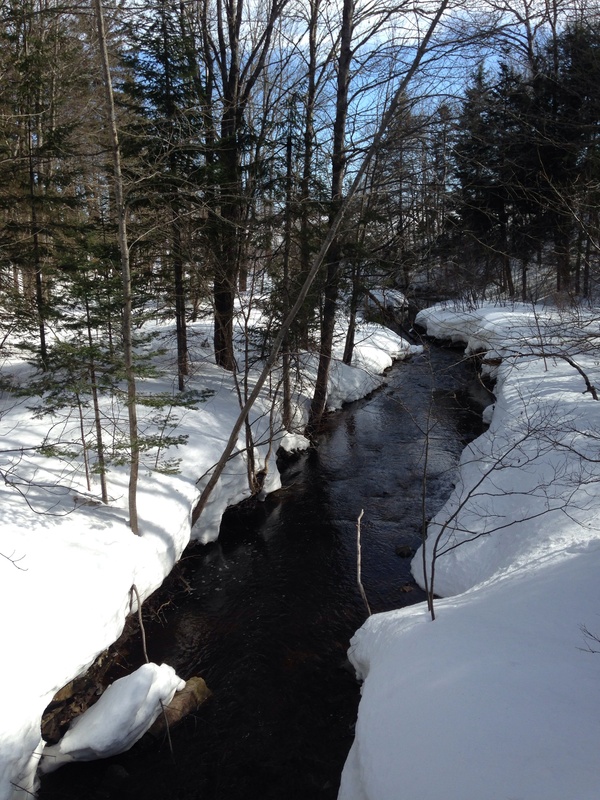 The 2014-15 winter season brought severe flooding in December after an incredible amount of rain to unbelievable snowfalls in January, February and March. But winter is finally coming to an end. The vernal equinox arrives at 7:45pm ADT today – but whether warm spring weather arrives soon is still up in the air! 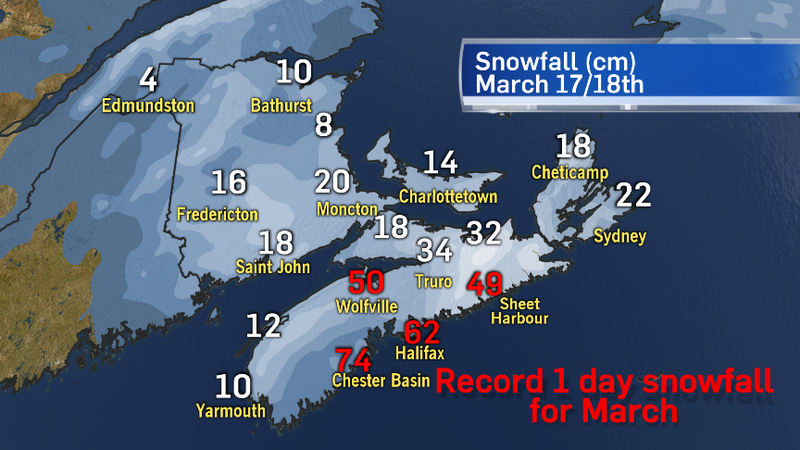 Snow records just keep on falling in the Maritimes just like the snowflakes themselves! 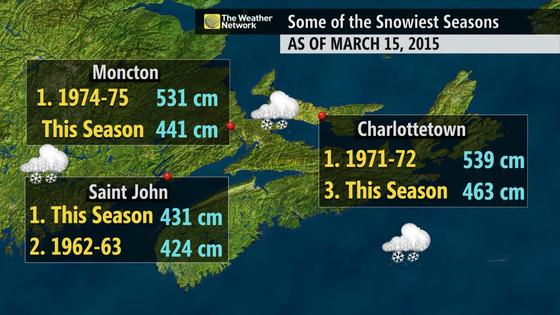 Saint John and Charlottetown have both broken their all-time snowfall records for a single winter season. Moncton is also struggling during this very white and punishing winter but is still a fair distance from its record from 1974-75. The American Northeast has been hard hit with heavy snow too and Boston, Massachusetts recently broke its winter record with 276 cm (108.6 inches). And winter is not over yet! This winter is certainly one that keeps on giving – especially in terms of snow! 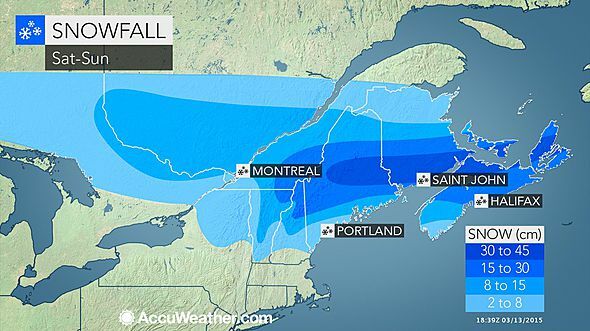 Environment Canada has issued a blizzard warning for Greater Moncton and Southeast New Brunswick for 15 March 2015. Two low pressure systems are merging over the Maritimes which will bring up to 45 cm of snow and northeasterly winds gusting up to 80 km/h. 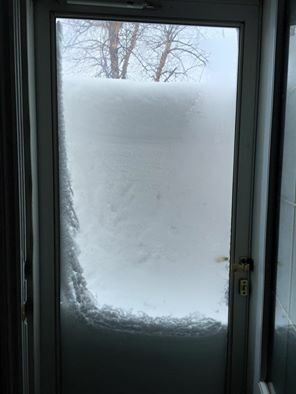 Keep in mind, Moncton already has about 95 cm of snow on the ground! 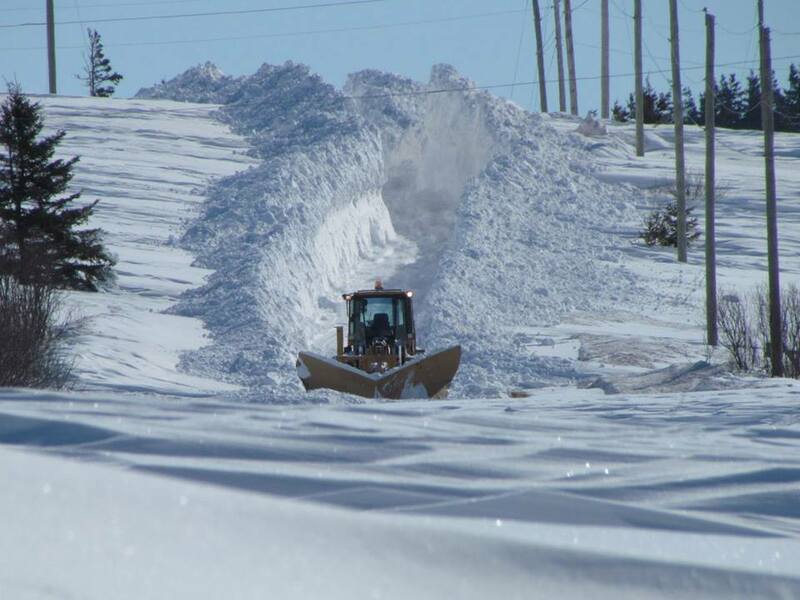 The winter of 2014-15 in Southeast New Brunswick will truly go down in the history books as “The Winter of Our Discontent”. Let the great melt begin! Greater Moncton enjoyed its warmest high temperature today (11 March) since Christmas Day. Environment Canada says the thermometer climbed to 8.8 C and the last time it was that warm was 25 December when the high reached a record-breaking 15.6 C! With 119 cm of snow still on the ground, more days like this will be needed to melt the deep snow cover. 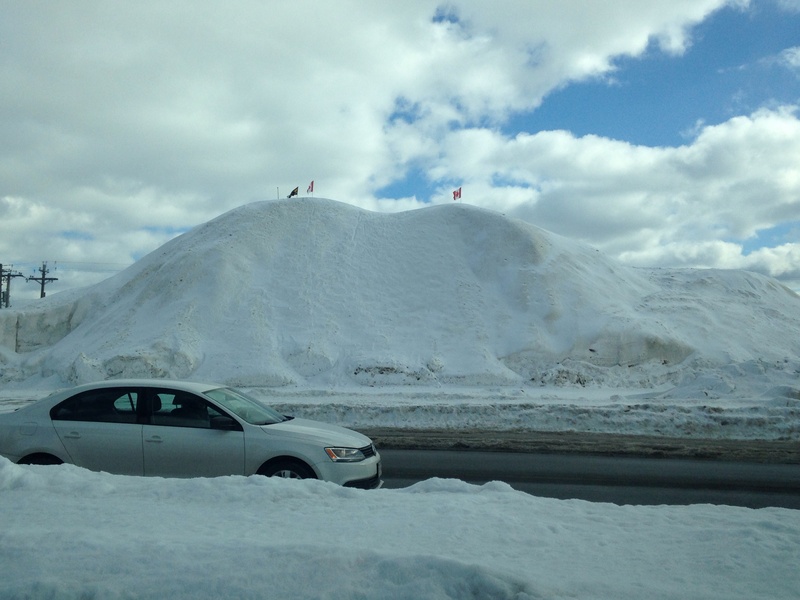 The warm spot in New Brunswick today was St. Stephen where it reached 11.4 C.
A drone has captured a unique view of the massive snow pile in Moncton near Berry Mills Road. When snow is trucked from downtown or other areas of the city, this is one of several dump sites where it ends up. 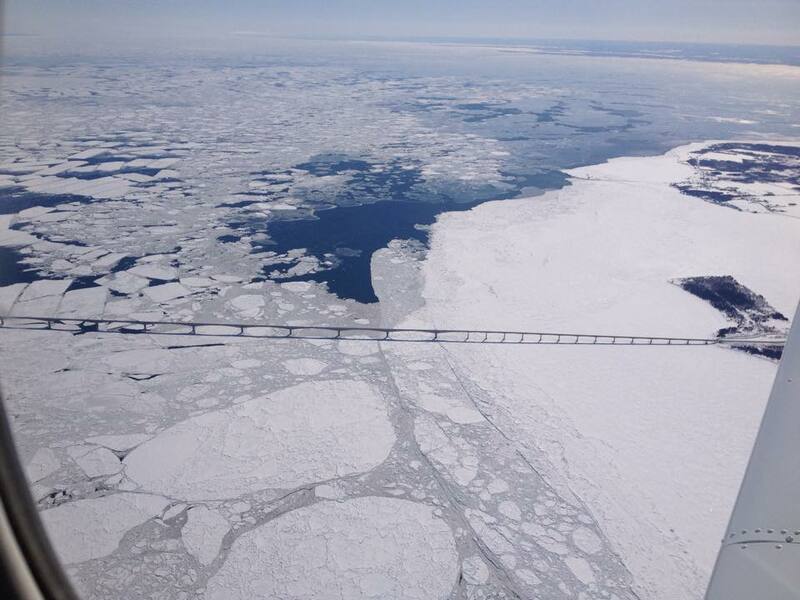 Even with spring on the way, it will likely take months before it melts completely.